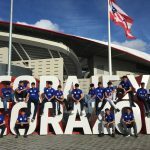 Since 2002 the BYSA boys project has gone from strength to strength starting with 15 kids and now having 150 plus kids that attend the project. Our aim was to get kids involved no matter what Age, Size, Race or Ability they are, we cater for them all at our Saturday morning recreational sessions, which provides and covers more than just playing football. It covers and offers everything else that a child may face in life for example confidence, respect, discipline, character building and interacting with others. This is something that we have helped them with and we currently work with children and their parents to develop this side of the sport. 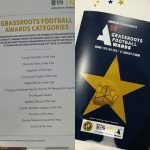 The BYSA has faced many challenges over the years but having a great team of volunteers that give their time and support, makes the BYSA is where it is today. We have had all types of children in and out of the BYSA who have developed into great characters and keep in touch with them to see how they are getting on in life. 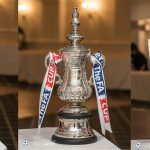 For the past several years BYSA has now setup a centre of excellence which allows us to get players from the Saturday morning sessions and then move them onto our Sunday morning League Football Teams. The BYSA female coaches have done an amazing job starting the project in order to get girls football more out their it started with 15 girls and now has 50 plus girls that attend the session, the session consists of warm ups, drills and small sided games. Training Session, Lunch, Presentation awards/certificates and finishing off with watching a live premiership match. 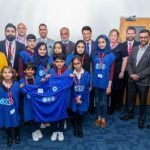 This was organised by BYSA in aid of getting the girls to see what football is about and taking part, we hope to do more of these in the near future as the feedback from the first project was a memorable one. 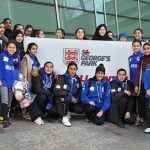 The Project has now 4 female coaches who are FA qualified who give their time on a voluntary basis and seek to grow the girls project by getting a team playing league football, enter tournaments, more vocational/educational trips, more girls to participate, mentoring classes and programmes. We like to thank the Saltley Wellbeing Centre who has supported the girls project providing facility and safe environment for the project to continue.